Indicate your preferred configuration. Then, follow the customized commands to install MXNet. MXNet offers MKL pip packages that will be much faster when running on Intel hardware. Check the chart below for other options, refer to PyPI for other MXNet pip packages, or validate your MXNet installation. mxnet-cu92mkl means the package is built with CUDA/cuDNN and MKL-DNN enabled and the CUDA version is 9.2. All MKL pip packages are experimental prior to version 1.3.0. Docker images with MXNet are available at Docker Hub. Step 1 Install Docker on your machine by following the docker installation instructions. Note - You can install Community Edition (CE) to get started with MXNet. Step 2 [Optional] Post installation steps to manage Docker as a non-root user. Follow the four steps in this docker documentation to allow managing docker containers without sudo. If you skip this step, you need to use sudo each time you invoke Docker. Step 3 Pull the MXNet docker image. You can list docker images to see if mxnet/python docker image pull was successful. Using the latest MXNet with Intel MKL-DNN is recommended for the fastest inference speeds with MXNet. Step 4 Validate the installation. To build from source, refer to the MXNet Ubuntu installation guide. CUDA should be installed first. Instructions can be found in the CUDA dependencies section of the MXNet Ubuntu installation guide. You can either upgrade your CUDA install or install the MXNet package that supports your CUDA version. Step 3 Install nvidia-docker-plugin following the installation instructions. nvidia-docker-plugin is required to enable the usage of GPUs from the docker containers. Step 4 Pull the MXNet docker image. Step 5 Validate the installation. Refer to the MXNet Ubuntu installation guide. The default version of R that is installed with apt-get is insufficient. You will need to first install R v3.4.4+ and build MXNet from source. You can use the Maven packages defined in the following dependency to include MXNet in your Scala project. Please refer to the MXNet-Scala setup guide for a detailed set of instructions to help you with the setup process. You can use the Maven packages defined in the following dependency to include MXNet in your Clojure project. To maximize leverage, the Clojure package has been built on the existing Scala package. Please refer to the MXNet-Scala setup guide for a detailed set of instructions to help you with the setup process that is required to use the Clojure dependency. You can use the Maven packages defined in the following dependency to include MXNet in your Java project. The Java API is provided as a subset of the Scala API and is intended for inference only. Please refer to the MXNet-Java setup guide for a detailed set of instructions to help you with the setup process. Refer to the Julia section of the MXNet Ubuntu installation guide. Refer to the Perl section of the MXNet Ubuntu installation guide. To enable the C++ package, build from source using `make USE_CPP_PACKAGE=1`. Refer to the MXNet C++ setup guide for more info. Step 2 Pull the MXNet docker image. To build from source, refer to the MXNet macOS installation guide. MXNet developers should refer to the MXNet wiki’s Developer Setup on Mac. This option is only available by building from source. Refer to the MXNet macOS installation guide. Refer to the MXNet macOS installation guide. Refer to the Julia section of the MXNet macOS installation guide. Refer to the Perl section of the MXNet macOS installation guide. For more installation options, refer to the MXNet macOS installation guide. Refer to #8671 for status on CUDA 9.1 support. To build from source, refer to the MXNet Windows installation guide. To run MXNet you also should have OpenCV and OpenBLAS installed. Change cu92 to cu90, cu91 or cuda100 based on your CUDA toolkit version. 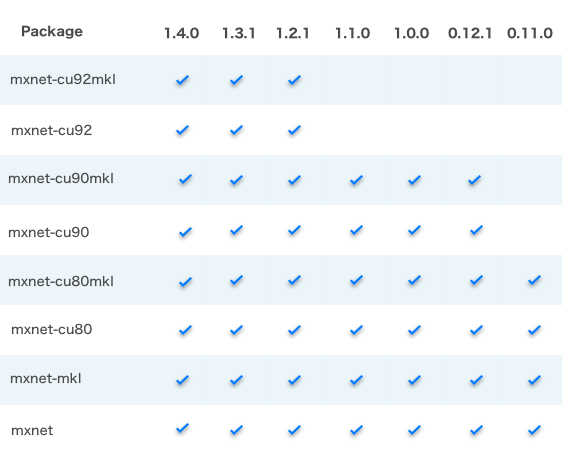 Currently, MXNet supports these versions of CUDA. Note : You also need to have cuDNN installed on Windows. Check out this guide on the steps for installation. MXNet-Scala for Windows is not yet available. MXNet-Clojure for Windows is not yet available. MXNet-Java for Windows is not yet available. Refer to the Julia section of the MXNet Windows installation guide. Refer to the Perl section of the MXNet Windows installation guide. For more installation options, refer to the MXNet Windows installation guide. 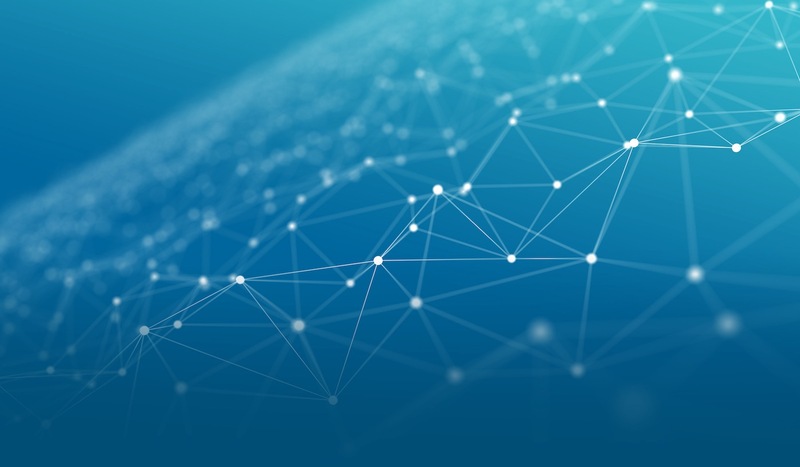 MXNet is available on several cloud providers with GPU support. You can also find GPU/CPU-hybrid support for use cases like scalable inference, or even fractional GPU support with AWS Elastic Inference. All NVIDIA VMs use the NVIDIA MXNet Docker container. Follow the container usage instructions found in NVIDIA’s container repository. MXNet should work on any cloud provider's CPU-only instances. Follow the Python pip install instructions, Docker instructions, or try the following preinstalled option. AWS Deep Learning AMI - Preinstalled Conda environments for Python 2 or 3 with MXNet and MKL-DNN. MXNet supports the Debian based Raspbian ARM based operating system so you can run MXNet on Raspberry Pi 3B devices. These instructions will walk through how to build MXNet for the Raspberry Pi and install the Python bindings for the library. You can do a dockerized cross compilation build on your local machine or a native build on-device. The complete MXNet library and its requirements can take almost 200MB of RAM, and loading large models with the library can take over 1GB of RAM. Because of this, we recommend running MXNet on the Raspberry Pi 3 or an equivalent device that has more than 1 GB of RAM and a Secure Digital (SD) card that has at least 4 GB of free memory. You can use this [pre-built Python wheel](wget https://mxnet-public.s3.amazonaws.com/install/raspbian/mxnet-1.5.0-py2.py3-none-any.whl) on a Raspberry Pi 3B with Stretch. You will likely need to install several dependencies to get MXNet to work. Refer to the following Build section for details. The following command will build a container with dependencies and tools and then compile MXNet for ARMv7. The resulting artifact will be located in build/mxnet-x.x.x-py2.py3-none-any.whl, copy this file to your Raspberry Pi. Your Pi will need several dependencies. You may use Python 3, however the wine bottle detection example for the Pi with camera requires Python 2.7. Create a virtualenv and install the wheel we created previously, or the wheel that you downloaded. Install the supported language-specific packages for MXNet. G++ (4.8 or later). Make sure to use gcc 4 and not 5 or 6 as there are known bugs with these compilers. Executing these commands start the build process, which can take up to a couple hours, and creates a file called libmxnet.so in the build directory. You are now ready to run MXNet on your Raspberry Pi device. You can get started by following the tutorial on Real-time Object Detection with MXNet On The Raspberry Pi. Note - Because the complete MXNet library takes up a significant amount of the Raspberry Pi’s limited RAM, when loading training data or large models into memory, you might have to turn off the GUI and terminate running processes to free RAM. MXNet supports the Ubuntu Arch64 based operating system so you can run MXNet on NVIDIA Jetson Devices. These instructions will walk through how to build MXNet for the Pascal based NVIDIA Jetson TX2 and install the corresponding python language bindings. For the purposes of this install guide we will assume that CUDA is already installed on your Jetson device. Executing this command creates a file called libmxnet.so in the mxnet/lib directory. You are now ready to run MXNet on your NVIDIA Jetson TX2 device. Download your required version of MXNet and build from source.